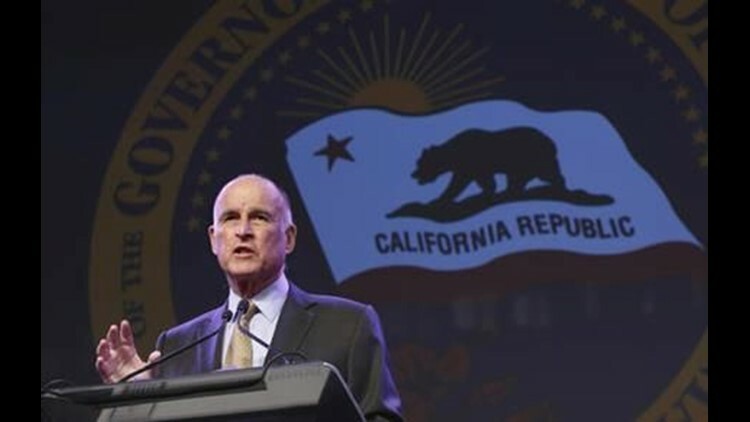 SACRAMENTO, Calif. (AP) — California Gov. Jerry Brown plans to convene a climate conference next year, his latest action to position the state as a leader in battling global warming as the White House recedes. The summit set for 2018 in San Francisco will mark the first time a state is hosting a climate gathering aimed at upholding the goals of the Paris climate agreement, an international pact to fight global warming that President Donald Trump is exiting. Brown will announce the Global Climate Action summit on Thursday in a video message to the Global Citizen Festival in Hamburg, Germany. His announcement comes as Trump is in Hamburg for a meeting of the Group of 20 economic powers, which includes many European allies that encouraged the president not to withdraw from the Paris agreement. The Trump administration's decision to roll back environmental regulations in the United States and withdraw from the international agreement has elevated Brown's profile on the world stage. He traveled to China earlier this year to discuss climate policy and will serve as a special envoy to states and regions at the United Nation's November climate conference. "Yes, I know President Trump is trying to get out of the Paris agreement, but he doesn't speak for the rest of America," Brown will say in the video, according to early remarks released by his office. "We in California and in states all across America believe it's time to act."